Happy weekend everyone! It's starting to warm up around here, and I'm dreaming of Spring! 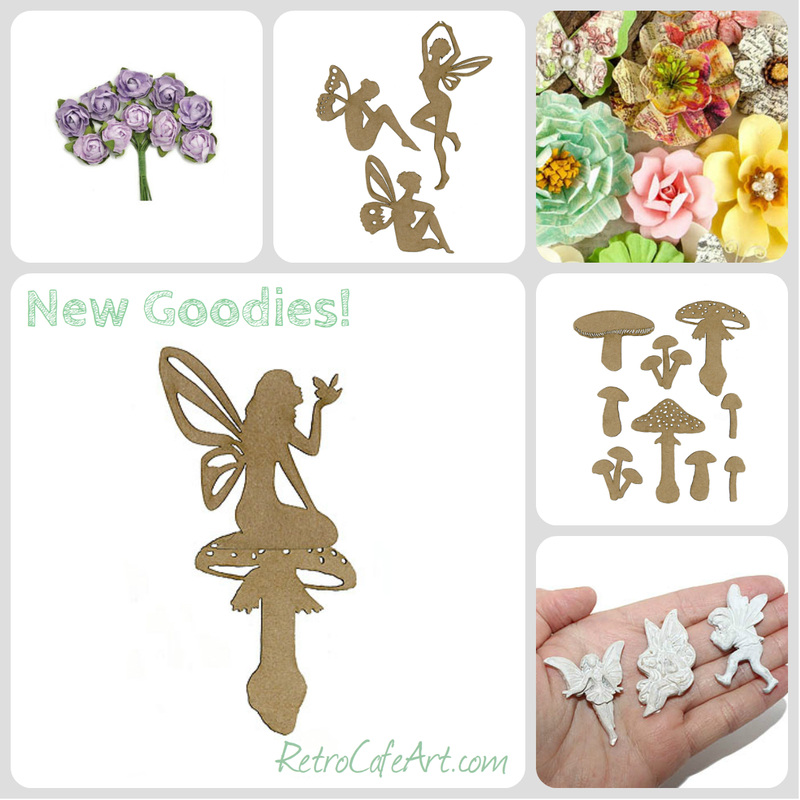 What could be better than springtime fairies and mushrooms! 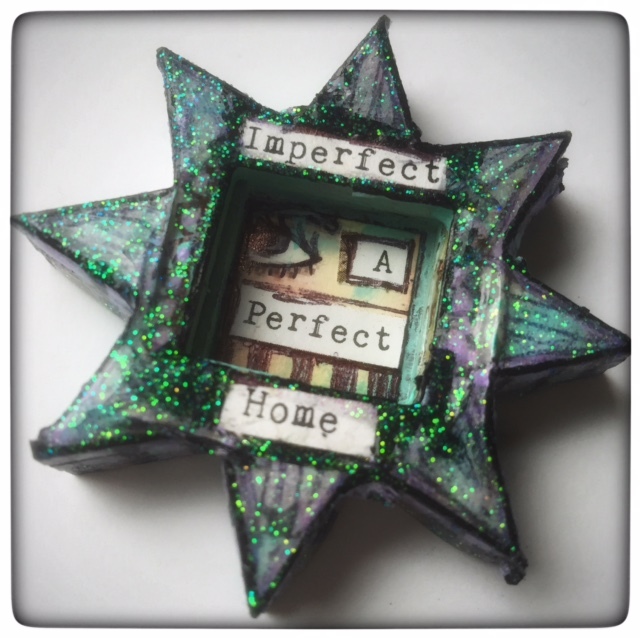 This weeks goodies were inspired by Design Team Member Cat Kerr's ADORABLE project below. And of course, my own love for the wee wood folk! We also have new Paper Flowers, Collage Sheets, and more! Soak in that sunshine! 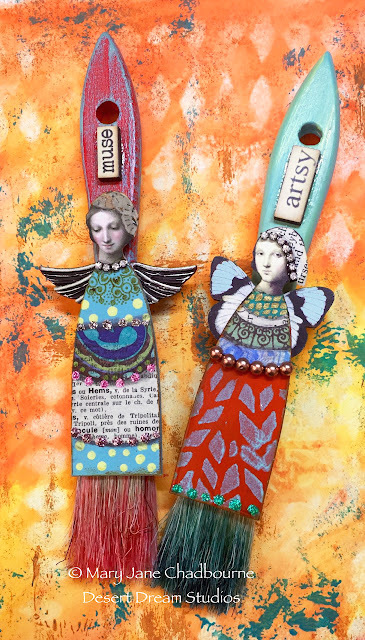 We are so in love with these sweet altered fairy brushes by Mary Jane Chadbourne! Beautiful, bold colors, and did you notice the fairies are wearing artist berets? 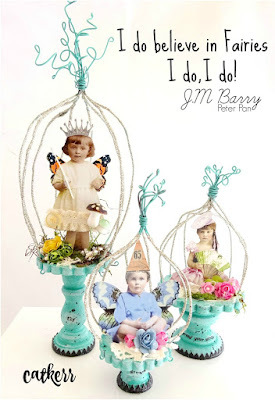 So wonderfully creative Mary Jane! Happy weekend everyone! 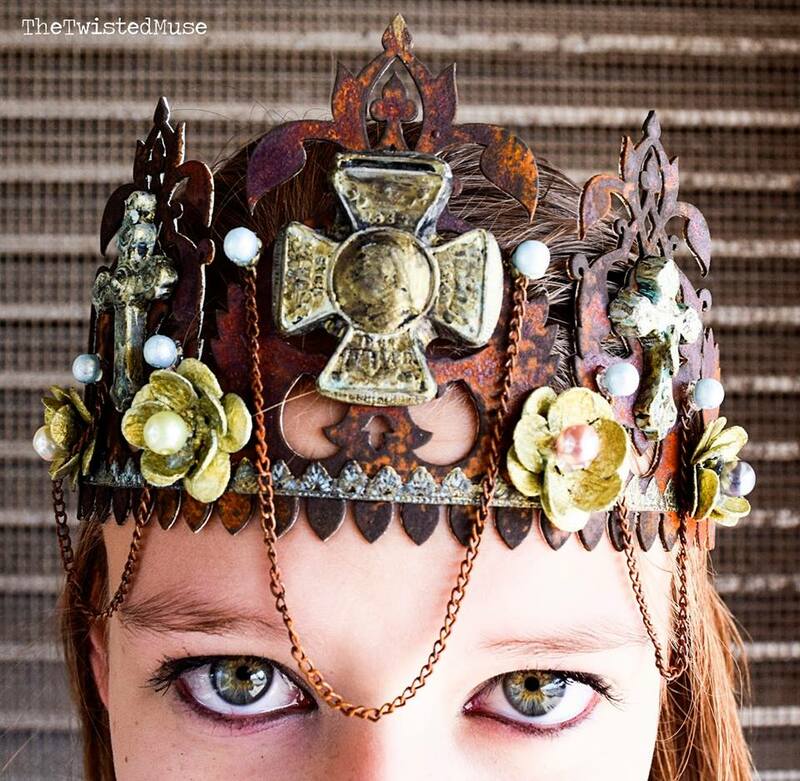 We're so excited that the Brand New Finnabair goodies are in stock and ready to ship! 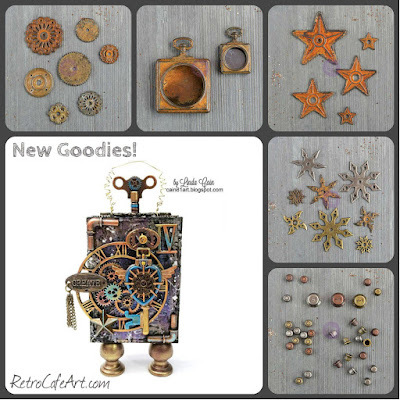 Amazing Steampunk Mechanicals, Clear Stamps, and some really cool sets. 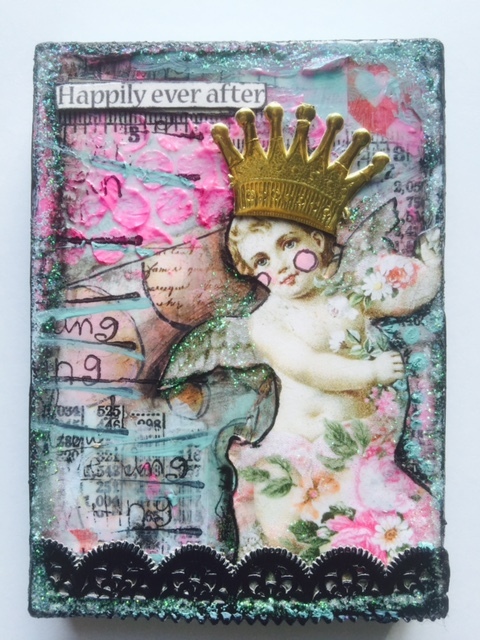 The Mixed Media Essentials pack is something I know many of you have been waiting for! Finally you can try all of those wonderful art mediums in easy to use smaller tubes! 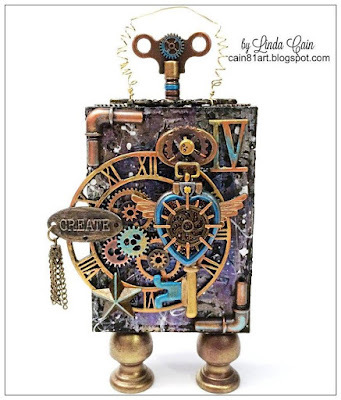 And to temp you even further, Design Team Member Linda Cain has tons of eye candy for you. Grab up the new goodies while you can! 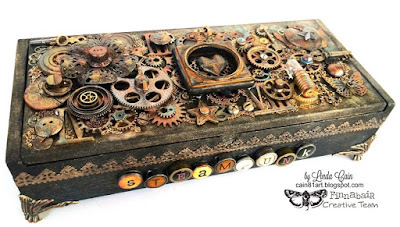 This stunning Steampunk Box by Design Team Member Linda Cain really highlights so many of the cool new Finnabair goodies, especially the cool mechanicals! And notice her Dresden? 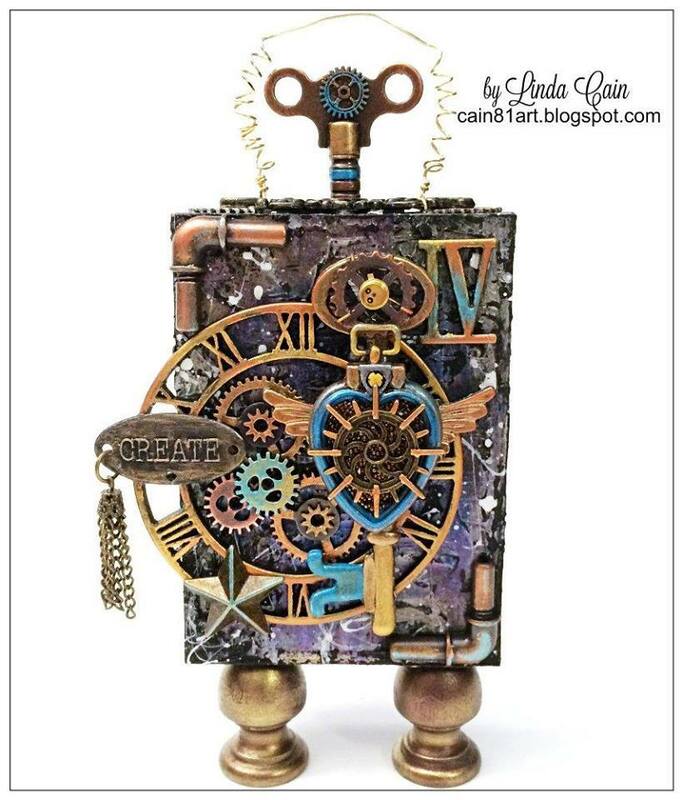 A fun tip from Linda Cain! 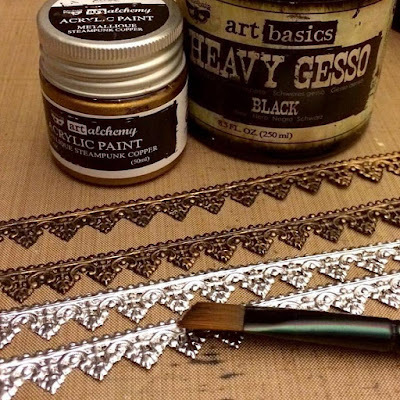 You can alter the color of our German Dresden with a little bit of Gesso and Paint (Or Gilder's Paste, Inka Gold, and more!). You can customize your Dresden to fit any project! Brilliant Linda! 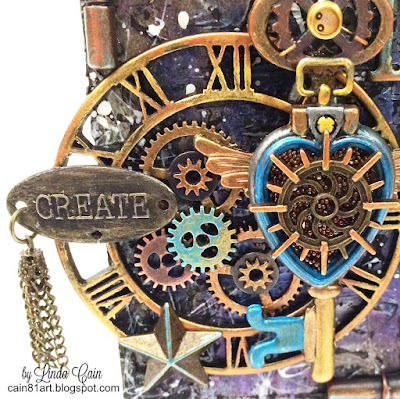 The Chunky ATCs are a perfect way to use all of those NEW (and old) Finnabair products! 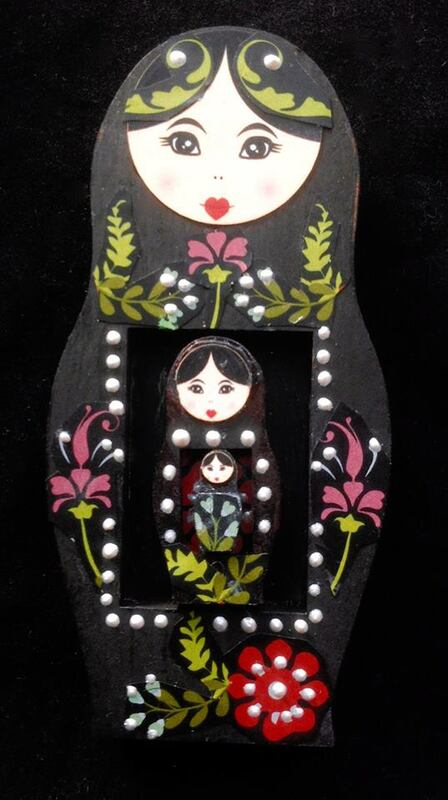 This sweet little Nesting Doll by Design Team Member Gerri Herbst makes us smile! 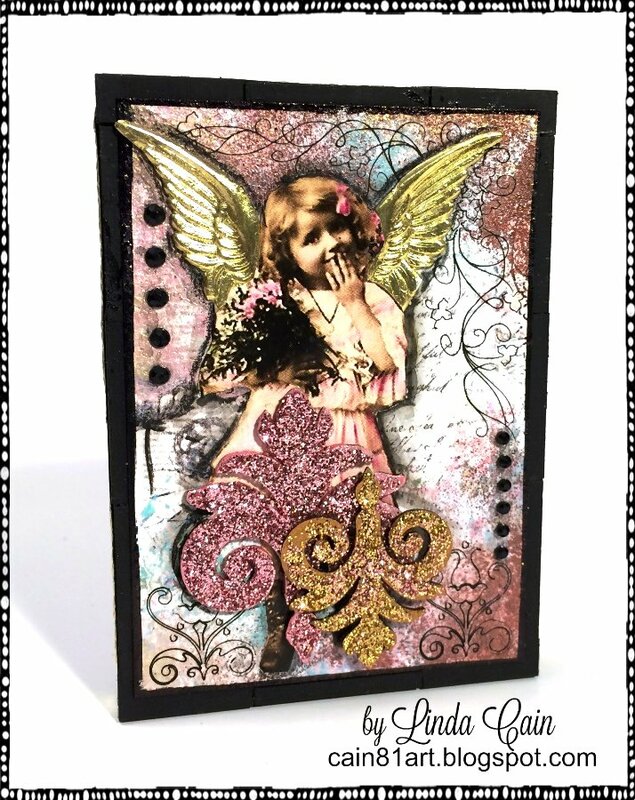 The pops of pink, red, and green look great on the black background. A hint of Spring perhaps? So lovely Gerri! 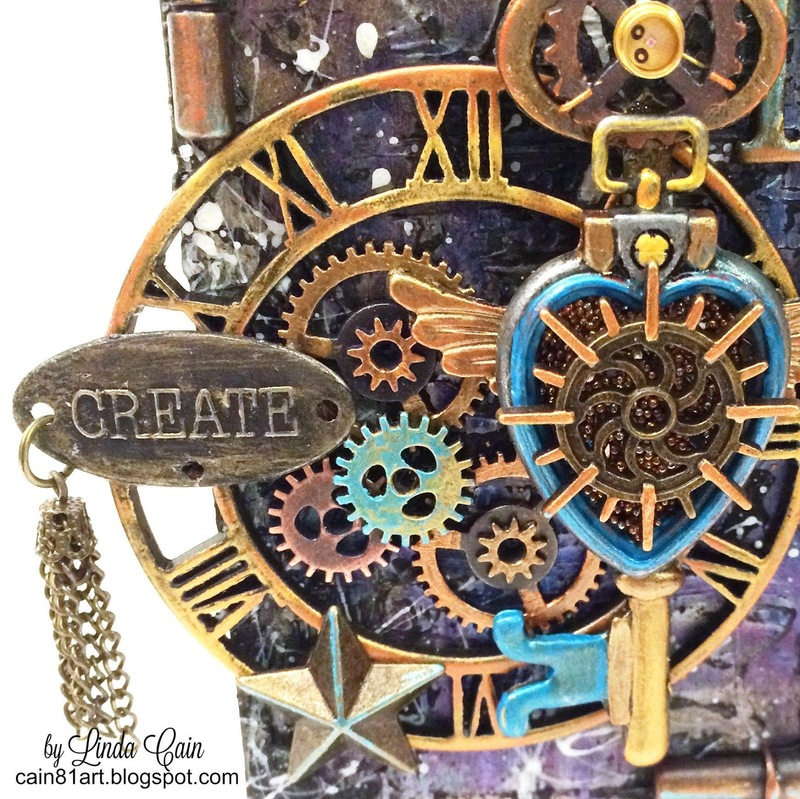 We are absolutely loving this divine Chunky ATC by Design Team Member Amy Nieman! 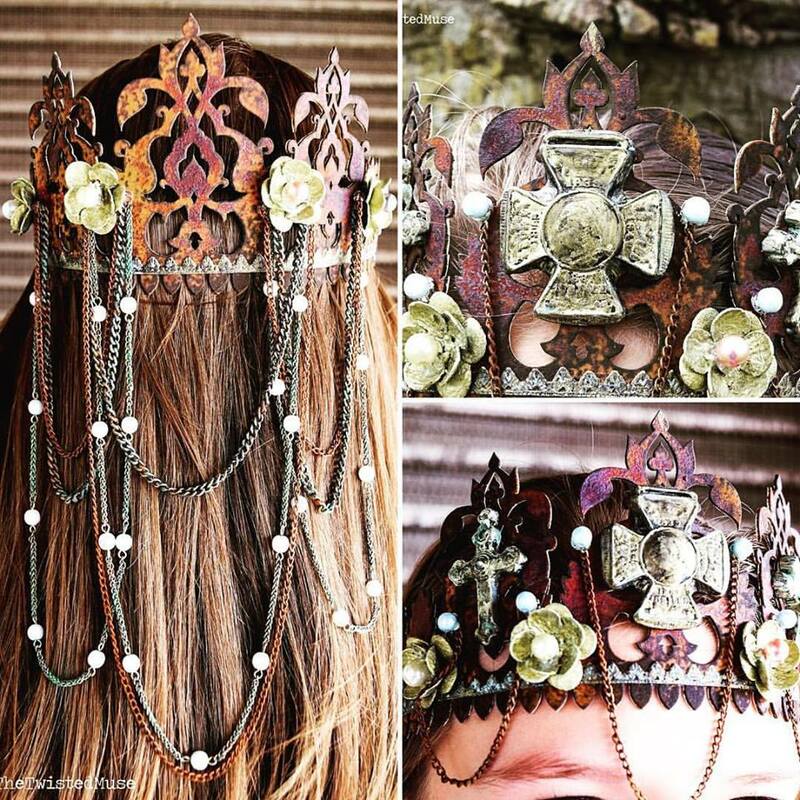 Her collage work is incredible, and adding the wood bits was a brilliant idea. So stunning Amy! 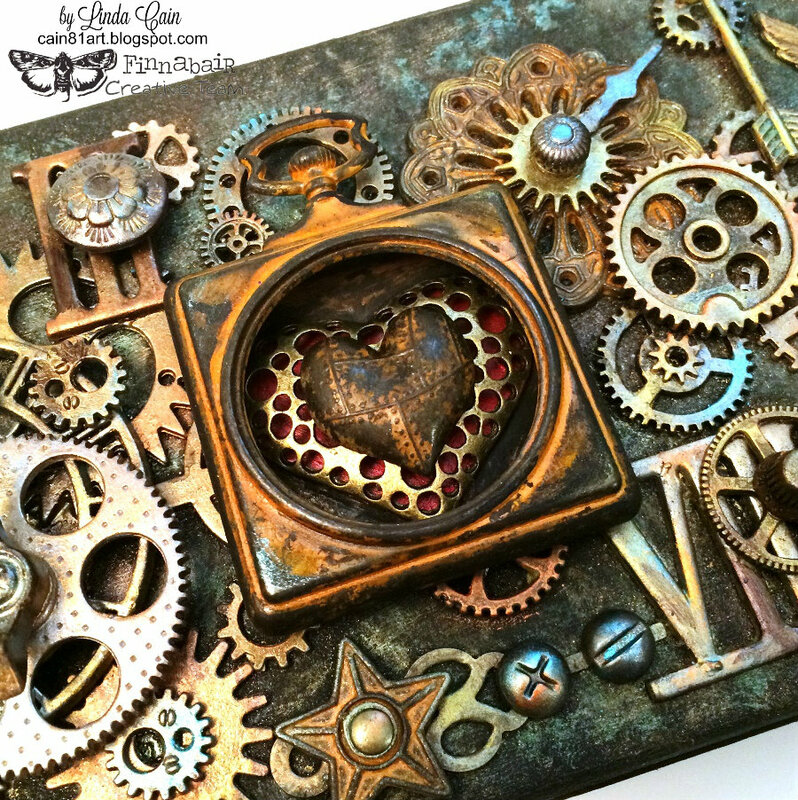 This stunning Escutcheon Plate by Monica Downing makes our heart flutter! Gorgeous colors and fantastic composition. 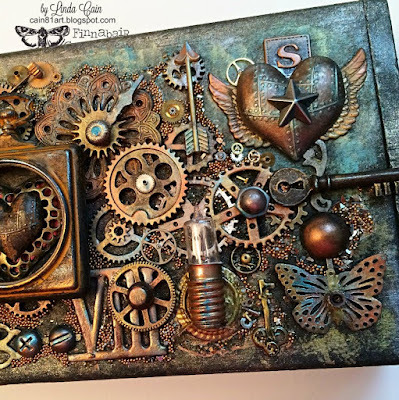 Such a wonderful piece Monica! 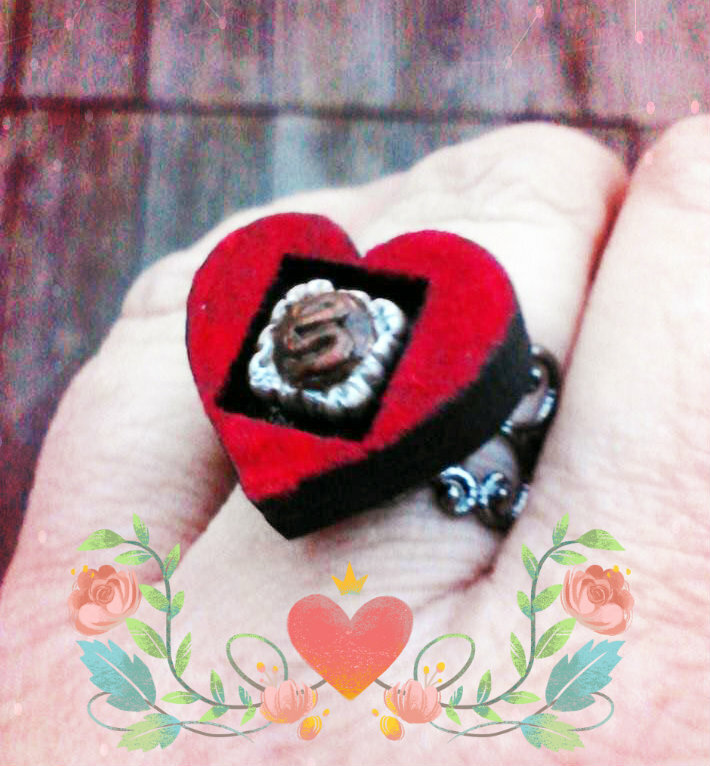 Happy weekend and Happy Valentine's Day everyone! We're giving everyone that orders this weekend a little giftie in their box (see at the bottom of the newsletter). Just a little way to share the love!!! I'm so excited about the new goodies this week. 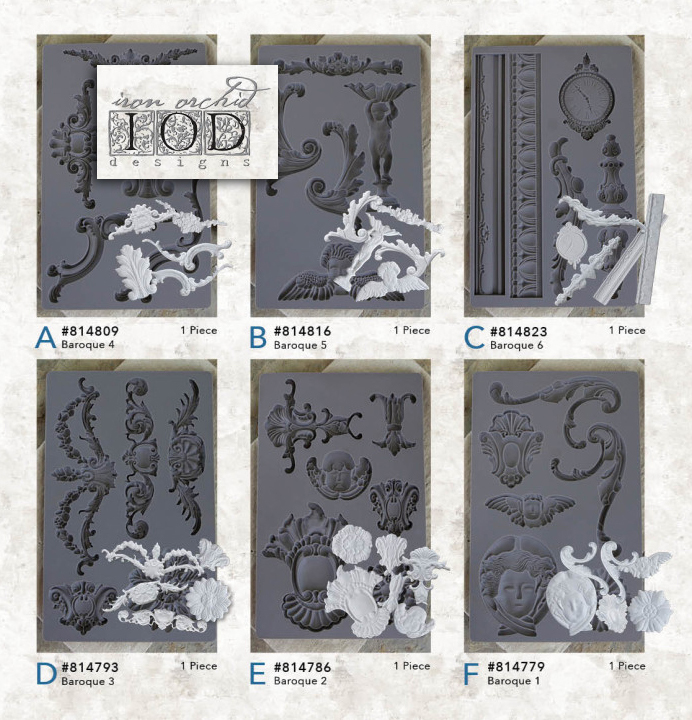 And I'm even more excited to announce that the New IOD Iron Orchid Vintage Art Decor Baroque Moulds are in stock and ready to ship! You can use them for SO MANY THINGS! And you can use them over and over again. 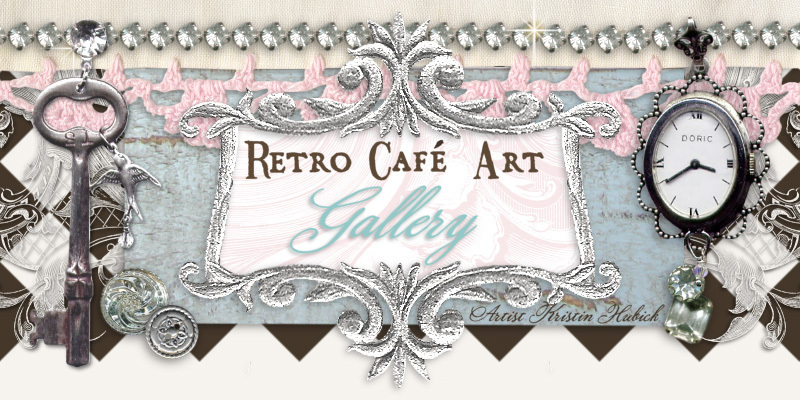 They work with so many types of media - air dry clay, paper clay, polymer clay, earthen clay, resin, hot glue, soap, candle wax, even chocolate, fondant, and dough (food safe rated)! 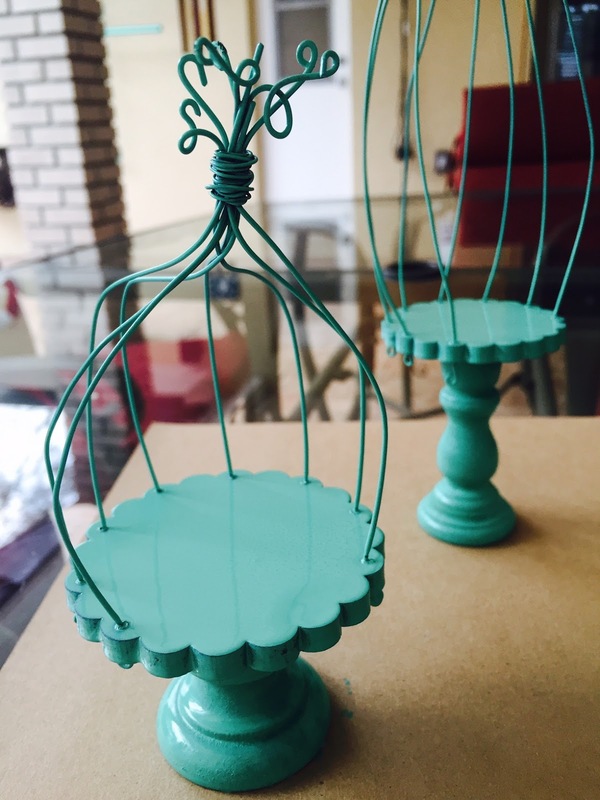 Use them to decorate cakes, cupcakes, and more. Practically any molding medium. Ooh la la! 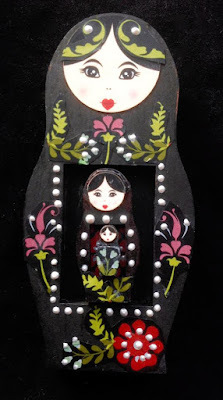 And they will be amazing for embellishing our Shrine Kits and Doll Kits! I know I have to have all six! 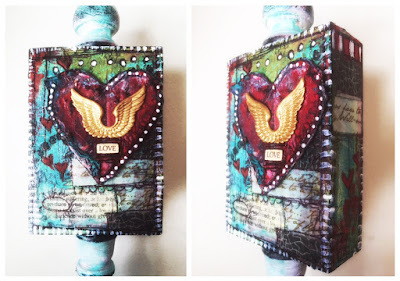 A stunning Chunky ATC by Design Team Member Lynn Stevens! 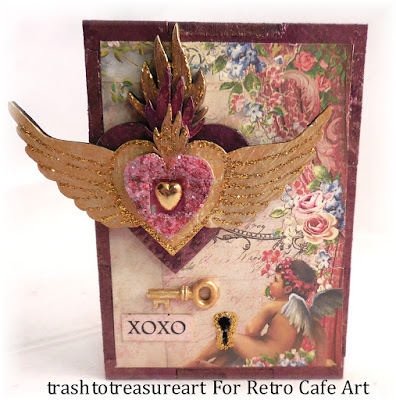 We love the way she layered her hearts, and the way she cleverly used the hanger on the back as a keyhole! So pretty Lynn! "My Love", a beautiful escutcheon plate by Design Team Member Gerri Herbst! 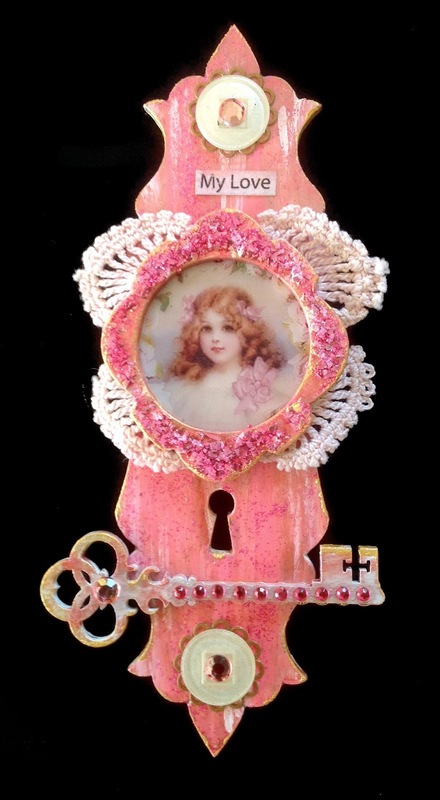 The skeleton key is the perfect touch. So pretty in pink Gerri! 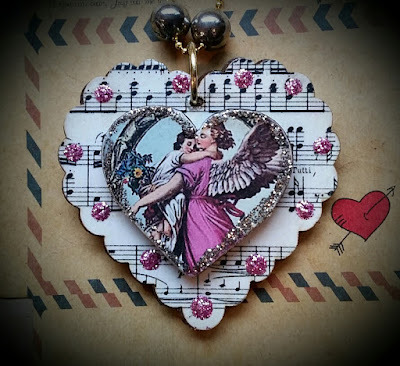 We love what Peggy Gansberg created with our Layered Valentine Heart Ornament Kit! 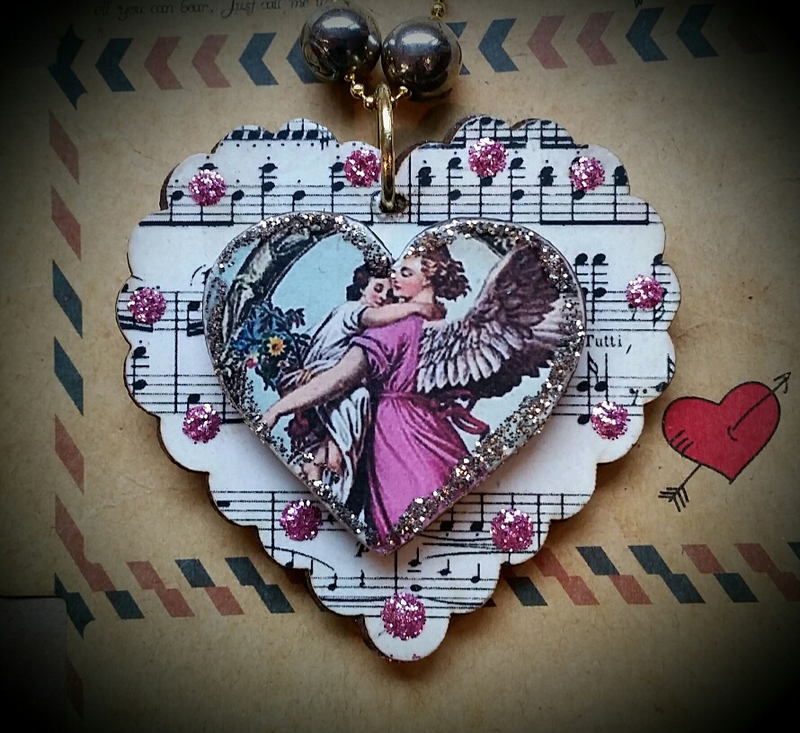 A perfect little vintage inspired keepsake. So sweet Peggy! A wonderful Escutcheon Plate by Design Team Member Gerri Herbst. The Dresden gives it such a romantic, baroque look. 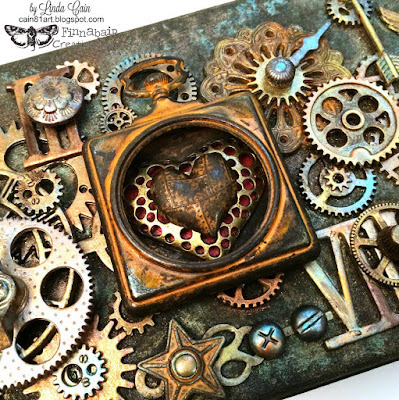 And we adore the brass heart in the center of the frame. So LOVEly Gerri! 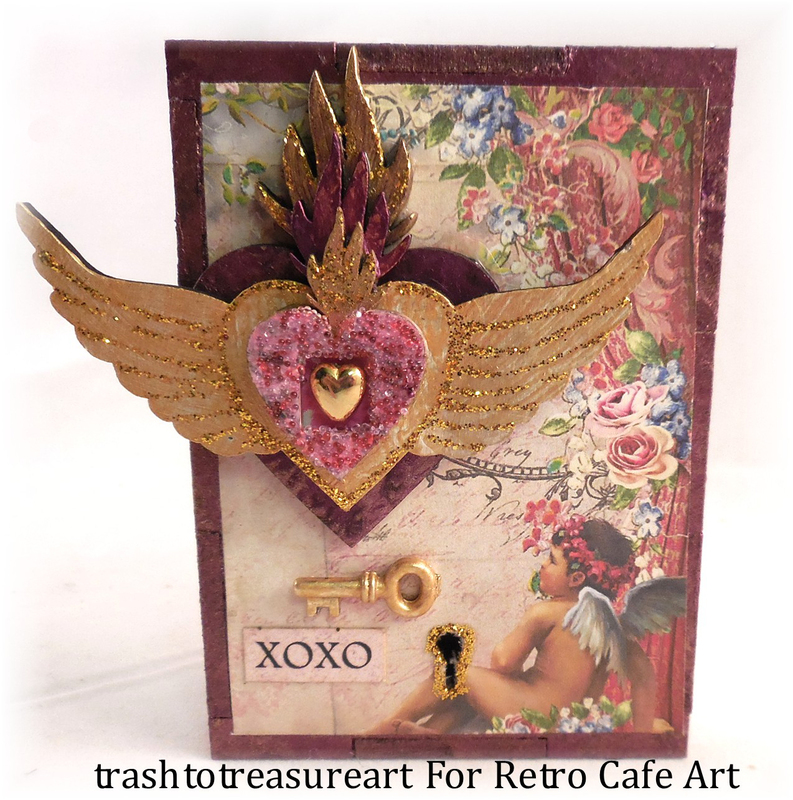 A free Valentine's Day gift will all orders this weekend! Happy weekend everyone! 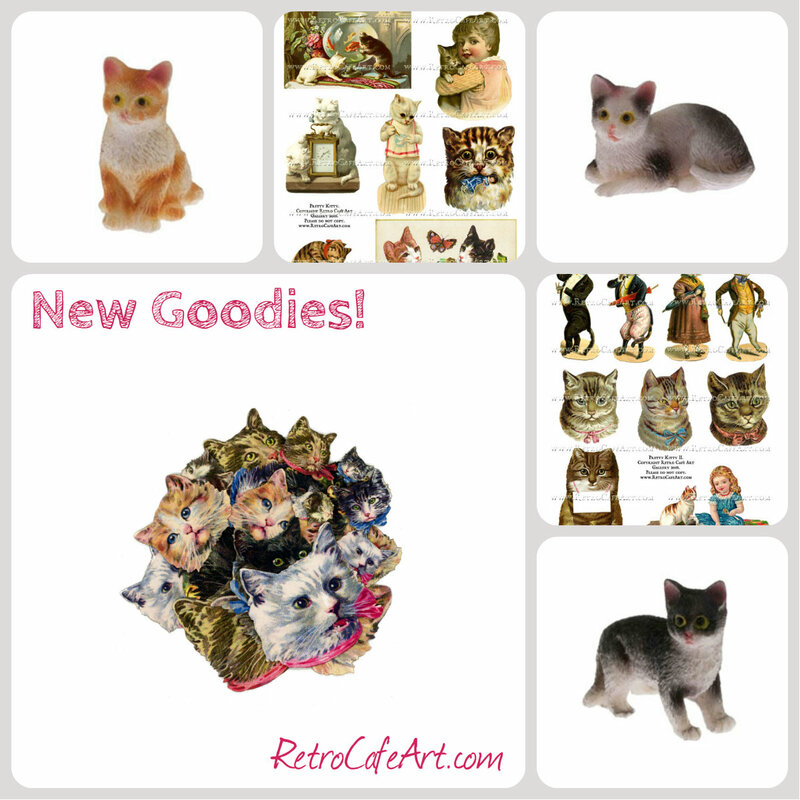 This week's goodies are definitely the cat's meow!!! We have wonderfully fun Kitty Heads, Kitty Collage Sheets, Miniature Kitties, and more! 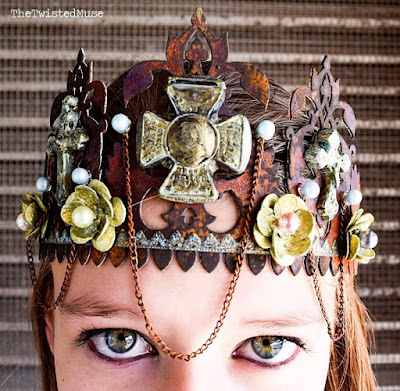 The Kitty Heads work perfectly with our Primitive Angels and other Doll Kits. 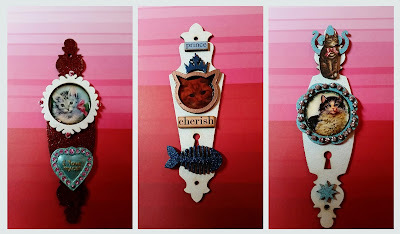 Or you can make some Kitty Chunky ATCs! Extra Savings: All Valentine's Day goodies are 15% off this week! I had a blast making my little Kitty Angel! A whole litter of them would be DARLING! 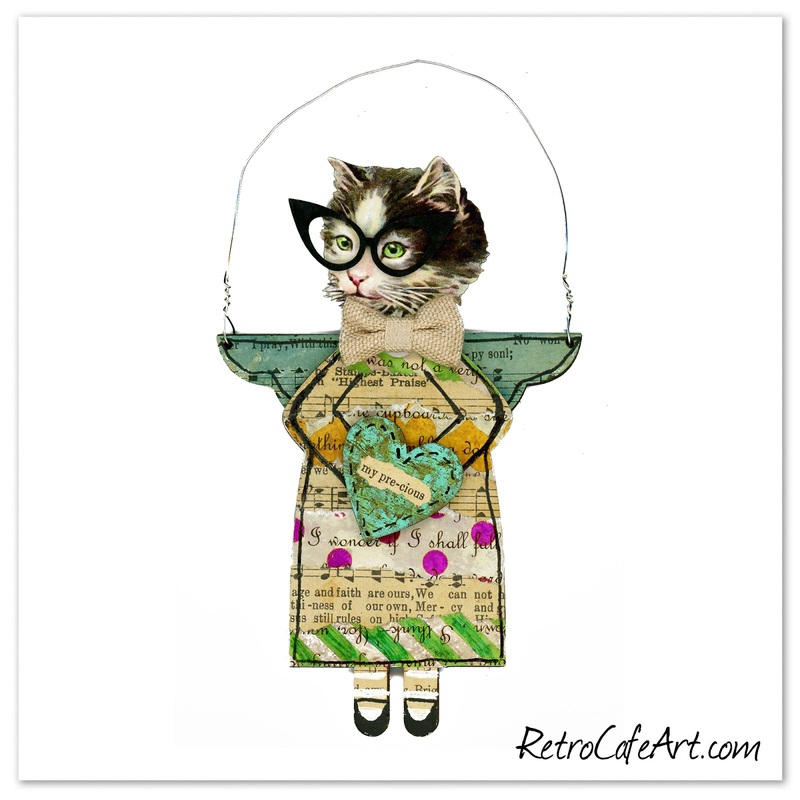 Isn't she PURRRFECT with her "Cat Eye Glasses"! 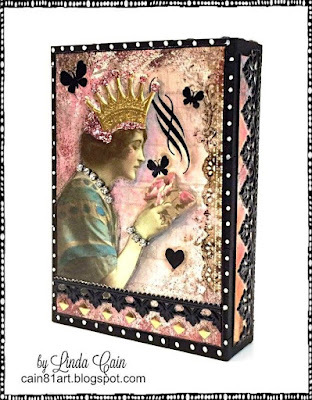 A stunning Shadow Box Valentine Shrine by Design Team Member Lynn Stevens! 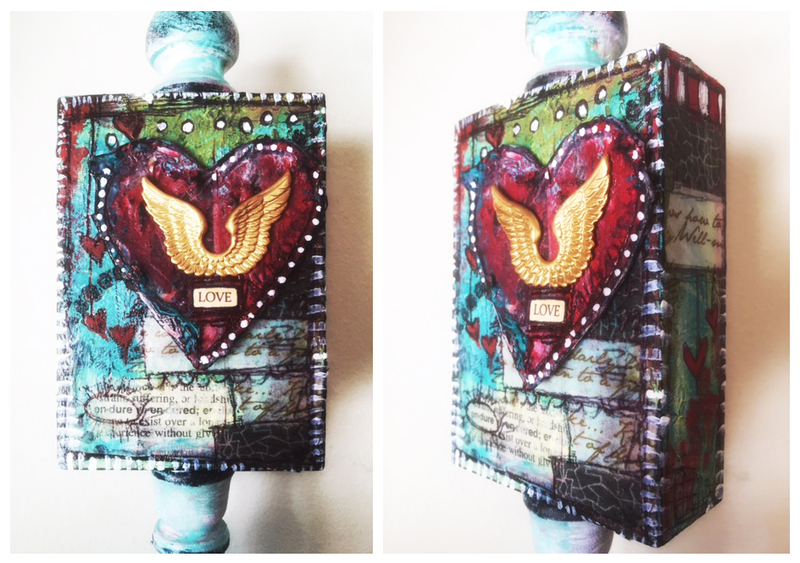 We're loving the texture she added to the Escutcheon Plate and way she used the lovely Lace Heart. A wonderful combination of elements. So beautiful Lynn! 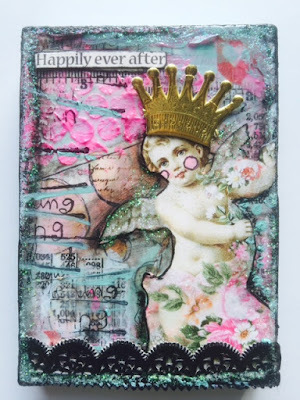 We're loving this "Happily Ever After" Chunky Dimensional ATC by Design Team Member Amy Nieman! 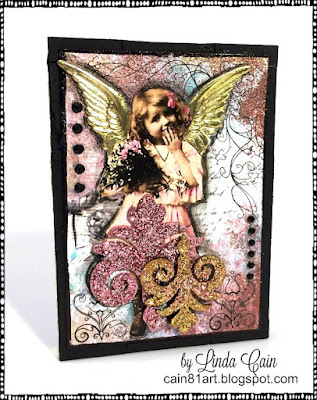 Beautiful layers, glitter, and tons of charm! 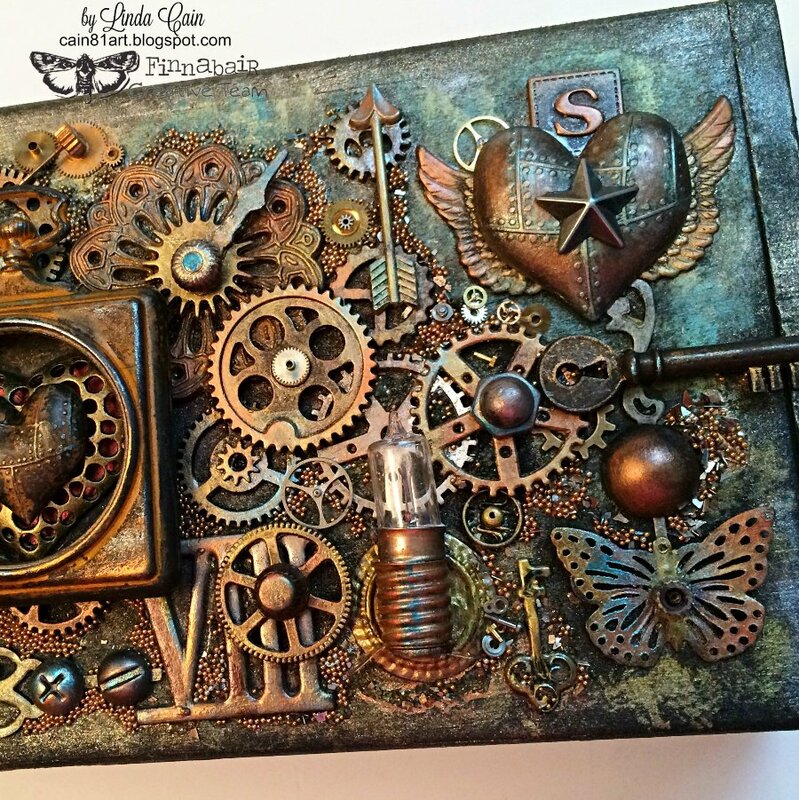 A stunning piece Amy! How purrrrfectly sweet are these kitty ornaments by Peggy Gansberg! 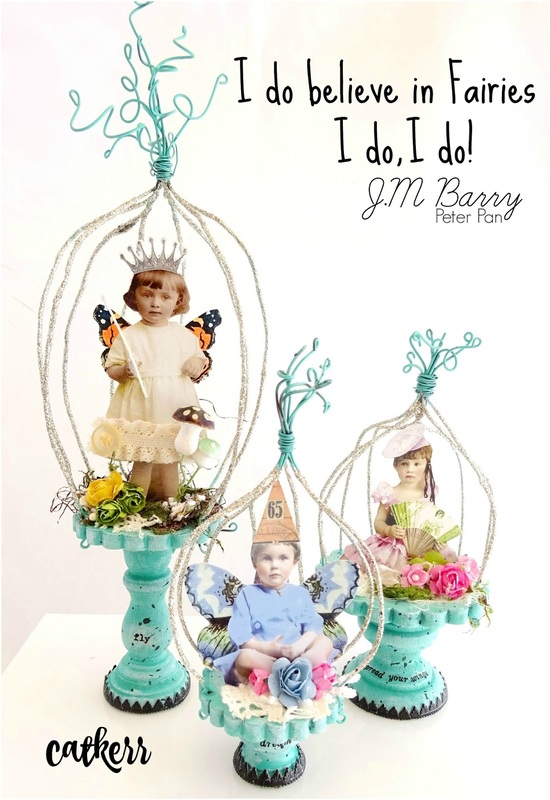 We adore the theme she picked, and she even made an ornament of her own precious baby! Just Darling Peggy!